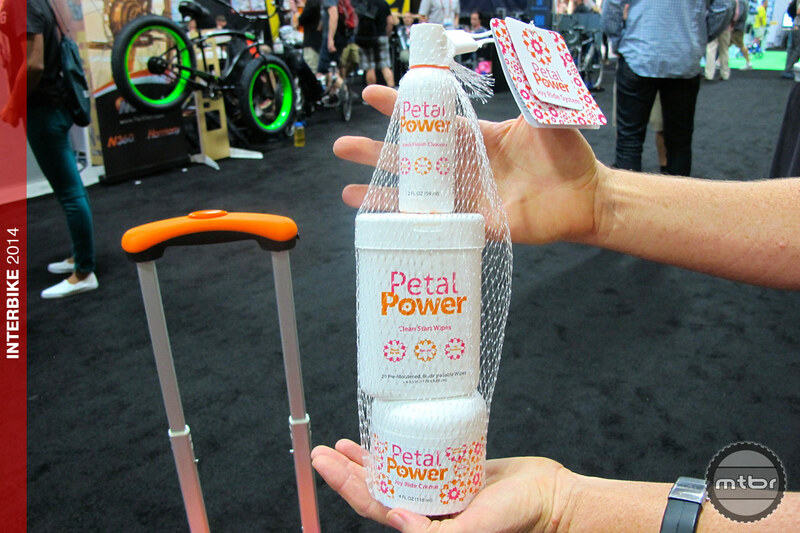 It’s been two weeks since Petal Power launched its Joy Ride system and already it’s gaining momentum with a ton of action on social media and orders coming in. We caught up with its creator, Jill Hamilton, on the floor of Interbike to learn more about it, and try some for ourselves. The Joy Ride System is the first of its kind and comes with Clean Start Wipes, Joy Ride Creme, and Fresh Finish Cleanser. 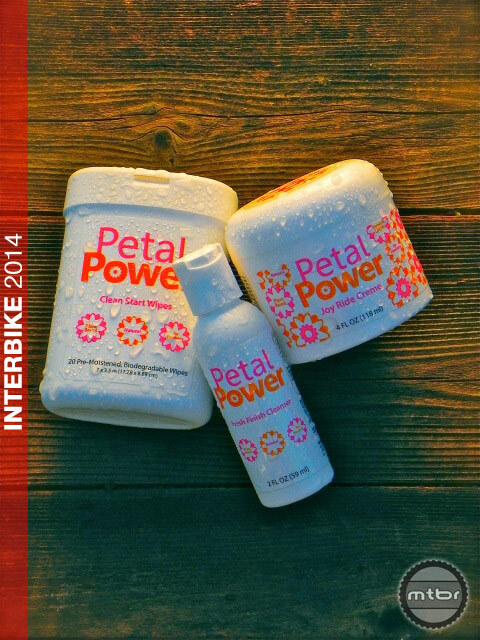 Riders can purchase all three online for $34.99 or select only the products they need. It is available on their website, and they expect to join other online retailers and bike shops soon. For more information visit petal-power.com.